The murder of journalist Jamal Khashoggi in the Saudi consulate in Istanbul in October put the Saudi royal family under more pressure than the immense human suffering in Yemen largely caused by a coalition led by Saudi Arabia and the United Arab Emirates (UAE). Especially for Yemenites, the public outcry after Khashoggi’s killing is a cynical contrast with the lack of media attention for the many tens of thousands of people killed in the conflict in Yemen since the start of the Saudi/UAE-led coalition’s military offensive to oust the armed anti-government opposition led by Houthi forces. 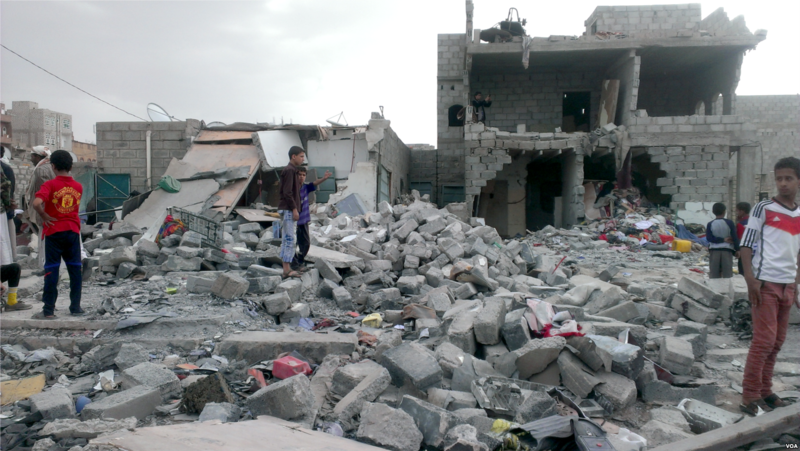 Independent casualty reporting organisation ACLED (Armed Conflict Location and Event Data Project) estimates that 70,000-80,000 people have been killed in Yemen since March 2015. According to ACLED the number is increasing by more than 2,000 per month, with fighting intensifying around the port of Hodeidah, key for aid and other imports of first needs. Importantly, ACLED does not include those dying of malnutrition, or disease, such as cholera – causes that are however directly related to the war. Indeed ACLED’s data point to significantly more deaths than the 10,000 number that is used by most media outlets for the two years. Another independent monitoring group, the Yemen Data Project, has been collecting data on the location and targets of the aerial war. It says that the coalition carried out a total of 16,749 air raids from March 26, 2015 to March 25, 2018, or an average of 15 bombing runs per day – 31% targeted non-military sites. While the Saudis and their backers continue to call these ‘mistakes’, others say many of the civilian targets, including hospitals, school children, fishing boats, factories and funerals, must have been hit on purpose. Whereas smaller arms supplying countries in Europe have applied more restraint in dealing with arms exports related to the Yemen conflict, the three main suppliers to the region – the US, UK and France – have seen their exports grow significantly since 2015. The murder of Khashoggi has not changed that reality so far. “They’re spending $110 billion on military equipment and on things that create jobs […] for this country. I don’t like the concept of stopping an investment of $110 billion into the United States”, was the unsurprising immediate reaction of US president Trump, hugely inflating the actual value of ongoing military deals. For the UK and France it is hardly different, though they are not as blunt as Trump. It was hard to escape the irony of French president Macron hosting the Paris Peace Forum earlier this month. “I am sorry Dear @EmmanuelMacron. You can’t enjoy the idea of building peace while you are selling weapons to #Saudis and ignoring the disaster in #Yemen. Voices of victims may not be loud enough now, but will never vanish and their suffering will be part of your resumé”, tweeted well-known Yemeni activist Radhya Almutawakel. In London, where CAAT is appealing a court decision justifying record arms exports to Saudi Arabia , the Tory government is pushing arms exports more than ever in the wake of Brexit. Others, such as Spain, famously backtracked on an earlier pledge to stop exporting bombs to Saudi Arabia, fearing the cancellation of a much larger naval deal with the Gulf state. In Germany an ongoing naval deal is complicating Merkel’s call to take steps at a European level. The EU’s 2008 Common Position on arms exports is under review this year. Not much real change to its text, nor to the accompanying User’s Guide is expected. And while the position may be common, its implementation is definitely not. With final responsibility over arms export decisions located in national capitals, EU export control policy is mostly the good intention of some states to apply “high common standards” against the dominant arms exporting countries for whom such exports are a major foreign policy instrument, if not the lifeline for its industry. Meanwhile, three times since 2016, the European Parliament has adopted (non-binding) resolutions including calls for a EU arms embargo against Saudi Arabia. So far these calls did not have any real impact – although more and more states have indicated it can’t be business as usual any longer. While the hurdles remain massive as ever, it would be welcome if all parties that have supported the embargo in the EP, would start campaigning in their home constituencies for national back-up. With EP elections in May 2019 it would be better late than never. Making economic case for disarmament, First Committee delegates issue calls to trim soaring military budgets, reinvest funds in vital 2030 Agenda goals. First Committee delegates discuss best tools for fighting illegal arms trade, amid calls to boost control of conventional weapons. Amid growing humanitarian toll from spread of conventional weapons, delegates in First Committee share strategies for combating illegal arms sales. First Committee weighs potential risks of new technologies as Members exchange views on how to control lethal autonomous weapons. This quick guide provides an overview of key outcomes of the third Review Conference on the Programme of Action to Reduce, Combat, and Eradicate the Illicit Trade in Small Arms and Light Weapons in All Its Aspects (PoA). It includes suggested follow-up actions, primarily focused on analysts, activists, and diplomats. This document highlights the main outcomes of the United Nations conference held in June 2018 to review action to prevent the illicit trade in small arms and light weapons. The thematic summaries in this document makes it easier for officials and other stakeholders to quickly pinpoint the key commitments made at the conference by the participating States. The outcomes are summarized and organized by topic, and include references to the paragraphs in the official conference report. The Fourth Conference of States Parties (CSP) to the Arms Trade Treaty (ATT) concluded August 24th after yet another week of discussions on little more than administrative procedures and bureaucratic policies. Now, almost four years after it entered into force, the ATT continues to try to expand and remain relevant despite lacking the membership of major arms exporters China and Russia, importers such as India, and having a body composed of States Parties either unwilling or unable to comply with its most fundamental obligations. Lebanon’s Parliament has ratified the international Arms Trade Treaty, angering Hezbollah legislators, some of whom walked out in protest. Prime Minister designate Saad Hariri said after the treaty was approved that it has nothing to do with Hezbollah’s weapons. A seminar on the ATT and its complementarities to the Regional Arms Control Instruments for Partner States, organised by the East African Legislative Assembly (EALA) and International Committee of the Red Cross (ICRC), took place in Arusha over the weekend. EALA member Pierre Celestin Rwigema, speaking on behalf of Speaker Ngoga Karoli Martin, said it is vital for the region to seriously tackle the matter of illegal arms, adding that the security challenges are more of a concern for intra-state rather than inter-state initiatives. L’organisation non gouvernementale Cri de secours contre la prolifération des armes légères (Crispal-Afrique), qui lutte contre a circulation incontrôlée des armes légères en Afrique centrale, a déposé ce mardi 30 octobre au bureau du président de l’Assemblée nationale, Aubin Minaku, un mémorandum en faveur de la ratification du traité sur le commerce des armes par le Parlement de la RDC. L’ONG estime cette ratification serait un pas de géant. It has been revealed that Namibia is using Chinese FN-6 man-portable surface-to-air missiles, which were shown during the recent Heroes’ Day celebrations. The Kenya Air Force (KAF) has taken delivery of at least four Airbus H125M (formerly designated the AS550) Fennec helicopters, according to photographs released on social media. Rippel Effect Systems, in yet another cooperation with a well-known international manufacturer, has partnered with FN Herstal in providing a unique 40mm solution to a third-party client. Rippel, being internationally recognized as the pioneer of the 40mm Medium Velocity (40mm MV) concept, is already the chosen partner for 40mm MV ammunition manufacturers around the globe. South Africa’s Paramount Group is showing a production standard version of its latest Mbombe 8 in the infantry fighting vehicle (IFV) configuration. The prototype of the Mbombe 8 was shown for the first time at the Kazakhstan Defence Expo (KADEX) held in June 2016 under the local name of the Barys. It has remained there since and feedback from extensive customer trials has been fed into the second example, which is to production standard. Paramount Group and Singapore’s ST Engineering have announced they will collaborate on marketing the co-developed Belrex range of vehicles internationally. Paramount Group has unveiled its new Smart Weapons Integration on Fast-Jet Trainers (SWIFT) mission system, which it is marketing on the Leonardo M-345 jet trainer that is being marketed in Africa. Turkey on Monday donated military equipment to Gambia at latter’s military headquarters in the capital, Banjul. Among the donated items were 5,000 sets of uniforms, 1,359 cartridges and belts, 5,000 water bottles, 50 five-man tents and 50 20-man tents. The United Nations special envoy to the Central African Republic called on Thursday, September 27 for transparency on the flow of arms into the war-torn country and urged diplomatic “coherence” as Russia’s role in the country grows. In an interview with AFP, U.N. Special Representative Parfait Onanga-Anyanga, whose term expires at the end of the year, said he felt “a measured, but definite, hope” for Central African Republic even as armed groups covet its natural wealth. State-owned arms manufacturer Denel has denied it is in talks with the Saudi Arabian government over a procurement deal despite reports the public enterprises department has confirmed the discussions. Saudi Arabia, which has been heavily criticised for its role in the war in Yemen, has said that it is in talks with “all major South African companies”, according to news agency Reuters. Stakeholders keen to reduce the proliferation of Small and Light Weapons (SALW) now want EAC Partner States to ratify the Arms Trade Treaty (ATT) to mop out illegal arms, EAC secretariat has said. Last Friday a seminar on Arms Trade Treaty and its Complementarity to the Regional Arms Control Instruments for Partner States organised by the EALA and the International Committee of the Red Cross (ICRC) took place in Arusha. Over the past few years, Egypt has opened the checkbook, embarking on an arms purchasing program that has quickly made it one of the biggest importers of weapons in the world. The outlay of cash, however, is all the more remarkable given Egypt’s fragile economic situation and its lack of a major conventional adversary. Its motivations stem not so much from a military need but from a desire to regain the influence of a country that is used to throwing its weight around the region. Ultimately, though, simple economics might curtail the spending spree. Algeria is believed to be behind an order for components for the manufacture of Fuchs-2 armoured vehicles from Rheinmetall worth over a hundred million euros. The Zambia government reacted angrily to reports that it has bought an expensive jet for President Edgar Lungu. Local media quoted Russia’s Sukhoi Civil Aircraft (GSS) Vice-President Yevgeny Andrachnikov saying the aircraft costs between $45 million and $49 million. An Amnesty International investigation published today reveals that armoured personnel carriers supplied by France were used with deadly effect by the Egyptian security forces to violently and repeatedly disperse protests and crush dissent. Zambia’s defence minister has released a statement denying a report that his government is close to signing a second USD400 million deal with Israeli companies. South Africa’s state-owned defence firm, Denel, is desperately short of funds, so, with recent news that Saudi Arabian Military Industries was considering an equity stake in Denel, officials at the department of public enterprises might have rejoiced at the thought of the cash injection. But what price tag has been attached to the Denel buy-in – and other Saudi investments in South Africa? The Economic Coordination Committee (ECC) of the Cabinet has approved the issuance of a certificate of sovereign guarantee for the sale of three JF-17 aircraft to Nigerian Air Force against a sum of $184.3 million, to support the declining foreign exchange reserves. In recent weeks there has been much public debate regarding the news that Saudi Arabian Military Industries (SAMI) is in talks with the South African government to take up a stake in Denel SOC, the state-owned defence company. France will give its former colony Central African Republic weapons and €24 million ($27.4 million) in aid, Foreign Minister Jean-Yves Le Drian announced on Friday, November 2. “France wishes to continue its historical partnership with the Central African Republic,” the minister told journalists in Bangui after meeting President Faustin-Archange Touadera. In this article, Roland Stein of Blomstein discusses International Traffic in Arms Regulations (ITAR), a US regulatory framework intended to control the manufacturing, export and proliferation of arms, related goods, services and technologies. Switzerland’s state-owned defence contractor, Ruag, has abandoned plans to build a factory in Brazil. The government told the company to stand down due to the reputational risk to Switzerland. Secretary of State Mike Pompeo backed continued U.S. military support for Saudi Arabia’s war in Yemen over the objections of staff members after being warned that a cutoff could jeopardize $2 billion in weapons sales to America’s Gulf allies, according to a classified memo and people familiar with the decision. New sanctions on Russia, announced this week by the U.S., are meant as messages to other countries to curtail their purchases of Russian weapons, experts said. The U.S. on Thursday rolled out a number of sanctions measures implementing legislation signed last year that targets Moscow’s intelligence operations and defense industry. Why are U.S. arms sales to Saudi Arabia such a big deal? President Trump brought them up after the Saudi government was suspected of having a journalist killed. The president said he would look into that accusation, but he wasn’t willing to halt U.S. weapons deals over it. Jennifer Spindel is an expert in international arms transfers and is at the University of Oklahoma, from which she joins us. Weapons of war have been used to indiscriminately kill and injure anti-government protesters in Nicaragua, as part of the ongoing violent crackdown ordered by the upper echelons of government, according to an Amnesty International investigation. Singapore Technologies Engineering planea fabricar el vehículo blindado Terrex 8×8 en asociación con Fábricas y Maestranzas del Ejército (Famae) si se adjudica el programa de adquisición de nuevos carros del Ejército de Chile. It is reported that hand grenades manufactured by RUAG have been found in Syria. Similar cases came to light in 2012 and 2016. These grenades could be from the batch delivered to the United Arab Emirates in 2003/2004, which may well, by way of a breach of contractual warranties, have found their way to Syria. The SECO investigated the incident in 2012, and actions were taken by the Federal Council. RUAG has not supplied any hand grenades to Arab countries since 2003/2004. The governmental armed forces of the Syrian Arab Republic (SAR) have received some BTR-70M armored personnel carriers (APCs), according to Syrian media outlets. An armour unit of the Syrian Arab Armed Forces (SAAF) in northern Syria has taken the delivery of a batch of at least three BTR-70M 8×8 APCs. Previously, the SAAF operated ageing BTR-60 8×8 carriers and BRDM-2 4×4 armored reconnaissance vehicles (ARV). Several units were reported to be equipped with BTR-80 and BTR-82A APCs. Against the backdrop of the recent China-Africa Defence and Security Forum, numerous articles have been written questioning the rationale behind the conference and the potential ramifications of a closer Sino-African relationship. Prime among those is the link between growing Chinese arms exports to the region and a way of securing greater geopolitical influence. The Belt and Road Initiative (BRI), announced in 2013, is one significant example where the economic expansion via the land (belt) and sea (silk road) has challenged the strategic interests of many states. At ADEX 2018 international defense exhibition, the Israeli company Elbit Systems is presenting for the first time its ATMOS M-46 130 mm truck-mounted howitzer to the Azerbaijani Armed Forces. Kazakhstan Paramount Engineering (KPE), a subsidiary of the South African headquartered Paramount Group, will collaborate in support of Kazakhstan’s industrial capacity development by expanding the company into new aerial, land and maritime production lines. According the website baodatviet.vn, Russia has started the production of first batch of T-90S main battle tanks for the Vietnamese army at the Uralvagzonvad plant in Russia. In July 2017, the Russian News Agency TASS has announced that Russian Company Uralvagonzavod will supply 64 T-90S main battle tanks to Vietnam. The tanks were first deployed in combat three summers ago. In early August 2015, they rolled along Yemen’s N1 highway, heading north to Al Anad Air Base. Their orders were to help government troops beat back the rebels. The U.S. State Department has made a determination approving a possible Foreign Military Sale to Bahrain of Guided Multiple Launch Rocket System Unitary Rocket Pods and Army Tactical Missiles System (ATACMS) Unitary missiles for an estimated cost of $300 million. The Defense Security Cooperation Agency delivered the required certification notifying Congress of this possible sale. The Turkmen army has put a Saudi-made light armored vehicle 4×4 into service: the Al Shibl. Turkmenistan has displayed what appear to be newly acquired Al Shibl 2 wheeled armoured personnel carriers (APCs) in a parade to mark the country’s Independence Day on 27 October. Turkey’s Aselsan announced on 4 October that it had formally incorporated a joint venture (JV) with Qatar’s Barzan Holdings the previous day. Taiwanese-manufactured weapons such as lightweight rocket launchers will complement heavy weapons bought from the US. The Marine Corps of the Taiwanese Army, the island’s military police and the coast guard are all considering placing large orders for weapons produced in Taiwan, as reported by the Asia Times. Shipping company Peters & May Ltd has transported a decommissioned mine countermeasures vessel (MCMV) from Belgium to Pakistan. On 15 October, Chinese President Xi Jinping called for a stronger cooperation between the military and civilian sectors. President Xi, also chairman of the Central Military Commission, made the remarks while presiding over the second session of the Central Commission for Integrated Military and Civilian Development, which he also heads. According a press releases on October 10,2018, published on the official website of Ukroboronprom, the Ukrainian state defense agency for the military industry, the Naval forces of Thailand have showed interest to acquire the Ukrainian-made BTR-MV1, a new generation of 8×8 armored vehicle designed in accordance to NATO standards based on the BTR-4 Ukrainian-made 8×8 armored. Germany’s decision to halt arms sales to Saudi Arabia following the death of journalist Jamal Khashoggi has underscored the way that the kingdom’s military spending has become increasingly important to governments and businesses in North America and Europe. Far from putting an end to the story, the Saudi government’s official explanation of what happened to Washington Post columnist Jamal Khashoggi at its consulate in Istanbul on October 2 has been met with a deluge of incredulity, sarcasm, and accusations that Saudi Crown Prince Mohammed bin Salman was responsible for both the murder and the cover-up that followed. Given the wide opprobrium in the US Congress, media, and private sector, it is yet to be seen whether the West, particularly the United States, will punish Saudi Arabia with sanctions. En 2017, l’Hexagone a vendu pour 2,6 milliards d’euros d’armes aux pays de la coalition combattant dans la région yéménite, qui vit une catastrophe humanitaire sans précédent, avec plus de 10 000 morts. Mais le gouvernement reste silencieux face à cette situation qui déroge aux traités internationaux. L’industrie de l’armement exploite des failles juridiques pour contourner les règles. Conséquence: des armes helvétiques se retrouvent aux mains de pays qui ne devraient pas en bénéficier. Die Finanzkontrolle zeigt in ihrem Bericht, wie eigentlich verbotene Waffenexporte in heikle Staaten wie Saudi-Arabien oder Katar dennoch möglich sind – und das völlig legal. Konkret dürfen Schweizer Rüstungsfirmen in einem bestimmten Rahmen unfertige Waffen, Waffenteile also, ohne grosse Hürden an Partner-Firmen liefern – in bestimmten europäischen Ländern und anderen Staaten, wie den USA. Im ungeschwärzten und vertraulichen Waffenexportbericht der Eidgenössischen Finanzkontrolle (EFK) findet sich eine Statistik zu den Ausfuhrgesuchen. Daraus wird klar, dass die Bundesverwaltung 2016 lediglich 29 Gesuche mit einem Wert von 17 Millionen abgelehnt hat. Dies gegenüber 2395 bewilligten Anträgen mit einem Volumen von 2195 Millionen Franken. President Michael D Higgins has taken aim at the world’s most powerful countries, condemning the five permanent members of UN security council for being behind the bulk of global arms exports. As a no-deal Brexit looks increasingly likely, Britain’s Conservative government risks drifting closer towards repressive regimes in the Middle East to compensate for economic vulnerability, while diminishing the country’s influence over them, say analysts and human rights advocates. The government’s plan to ease arms export rules has sparked controversy with critics warning it could endanger the neutral country’s reputation and humanitarian tradition. A Swiss historian and author explains how this paradox has been a recurrent theme since the First World War. The Spanish government has confirmed it will proceed with the sale of 400 laser-guided bombs to Saudi Arabia, days after saying the €9.2m (£8.2m) deal had been halted amid apparent concerns over the use of such weapons in the war in Yemen. Josep Borrell, the foreign minister, announced the U-turn on Thursday, saying the government had reviewed the contract and felt it had to be honoured. Russia`s Military-Industrial Company (VPK) has upgraded its BTR-87 armored personnel carrier (APC). The modernized vehicle was demonstrated at the Army 2018 international military-technical forum held in Kubinka near Moscow on August 21-26. Russia`s National Guard (Rosgvardiya) is planning to acquire a batch of Kalashnikov AK-204 carbines developed by the Kalashnikov Group (a subsidiary of Rostec state corporation), according to Russian media outlets. A source from the service said the Rosgvardiya would buy the AK-204 carbines “at an early date”. He did not specify neither terms nor number of the firearms set to be acquired. The Spanish government recently found itself confronting a deeply unpleasant dilemma: whether to help prevent violations of the law of armed conflicts or protect thousands of jobs at home. 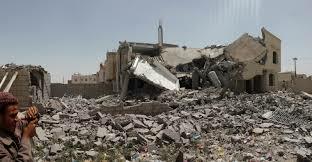 On September 3, the radio station Cadena SER reported that the minister of defence, Margarita Robles, intended to stop the delivery of 400 bombs to Saudi Arabia, whose bombing campaign in Yemen has claimed numerous civilian lives. While Robles’s choice is consistent with the law on international arms transfers, it could seriously affect her government’s commercial relationship with the Saudis while undermining the jobs of thousands of Spanish workers involved in the defence sector. Rheinmetall and Rohde & Schwarz have signed a notarized article of agreement for a joint venture company which the two technology groups will use to bid for two major Bundeswehr procurement programmes: MoTaKo (German military shorthand for “Mobile Taktische Kommunikation” or mobile tactical communication), and MoTIV, which stands for “Mobiler Taktischer Informationsverbund”, or mobile tactical information network. Final establishment of the joint venture is still pending anti-trust approval. Rheinmetall will hold a 74.9% share in the new company, with the remaining 25.1% held by Rohde & Schwarz. Amid all the hustle and bustle at Africa Aerospace and Defence (AAD) 2018 is a little stand for Jotov & Son Ltd, a Bulgarian arms dealer. As Slavi Tonev, the company’s trade and marketing regional manager explained to defenceWeb, the equipment might be pre-owned – in this case by the Bulgarian military – but it’s all battle proven, much of it in African conflicts, especially Angola in the 1980s, and thoroughly reconditioned. Serbia plans to buy a shipment of three-seat Chaborz M-3 cross-country vehicles developed by the Russian Special Forces University, which is located in Gudermes, Chechnya, Daniil Martynov, the University curator and an aide to the head of Chechnya for the power-wielding bloc, told TASS. The Board of Directors of RUAG has made its first decisions regarding the unbundling of the company, a move proposed by the Swiss Federal Council. In line with their areas of activity, the two RUAG divisions – Aviation and Defence – will be integrated into the two new parts, with the working titles of “MRO Switzerland” and “MRO International”. Dans un rapport publié mardi, Amnesty International documente l’utilisation, par les forces de sécurité égyptiennes, de matériels français. Une utilisation qui contrevient aux engagements internationaux de la France. De uit het Brabantse Lot afkomstige wapenhandelaar Jacques Monsieur kreeg vandaag van het Brusselse hof van beroep wegens illegale wapenhandel een effectieve celstraf van 4 jaar. Met daarnaast nog een boete van 1,2 miljoen euro. Het is een vrij grote verzwaring van het vonnis in eerste aanleg toen hij 3 jaar kreeg en een boete van 800.000 euro. De man zag er na het voorlezen van dat arrest dan ook aangeslagen uit. Tchad, Iran, Indonésie, Mauritanie, Pakistan, Libye, ex-Yougoslavie, Chine, Burundi… Son tableau de chasse est impressionnant. Jacques Monsieur, surnommé «Le Marchéal» ou «The Fox», a trempé dans de nombreux conflits. Mais le petit homme discret, originaire de Hal, vient d’être condamné à Bruxelles. The Lithuanian Ministry of Defence (MoD) placed a follow-on order for G36 assault rifles from Heckler & Koch, the company announced on 16 October. Faut-il arrêter toute livraison d’armes wallonnes à l’Arabie Saoudite ? La question revient sur le tapis suite à l’affaire Kashoggi. Et clairement, elle divise. Soir Première a donné la parole à deux invités aux avis opposés: Philippe Hensmans, directeur de la section belge francophone d’Amnesty International, et Nico Cué, secrétaire général de la centrale des Métallos de la FGTB. Vicepremier Alexander De Croo (Open VLD) roept nogmaals op tot een wapenembargo tegen Saudi-Arabië, naar aanleiding van de dood van Saudisch journalist Jamal Khashoggi. “Merkel heeft het voortouw genomen en de wapenexport vanuit Duitsland opgeschort, het zou goed zijn moest België dit als eerste land volgen”, zegt De Croo in “De ochtend” op Radio 1. “Il est faux de dire que l’Arabie saoudite est un grand client aujourd’hui de la France”, déclarait il y a dix jours Emmanuel Macron, au sujet du deuxième acheteur d’armes françaises de la décennie. Un point sur les chiffres alors que sont relancés les appels à geler ces exportations vers la monarchie du Golfe. Allein in den ersten drei Quartalen hat die deutsche Regierung Rüstungsexporte nach Saudi-Arabien von 416,4 Millionen Euro genehmigt. Nun schlägt der Fall des getöteten Journalisten Khashoggi hohe Wellen. Die Kanzlerin setzt ein Stoppsignal. Governments have come under increased pressure in recent weeks over their relationships with Saudi Arabia. Washington Post journalist Jamal Khashoggi vanished around two weeks ago during a visit to the Saudi consulate in Istanbul, and the gulf state has faced international condemnation since. When news broke this year that the former Russian spy Sergei Skripal and his daughter Yulia had come into contact with the deadly nerve agent Novichok in the English city of Salisbury, the United Kingdom acted fast. Alors que l’Allemagne et le Canada envisagent d’interrompre leurs exportations d’armes vers l’Arabie Saoudite suite à l’affaire Khashoggi, la France se mure dans le silence. Raison de plus pour regarder “Mon pays fabrique des armes”, une enquête explosive sur cette filière diffusée ce mardi 23 octobre sur France 5. En visite au salon Euronaval, Emmanuel Macron a refusé de répondre mardi aux questions sur un éventuel arrêt des ventes d’armes de la France à l’Arabie Saoudite, comme l’a demandé l’Allemagne à tous les Européens. L’Hexagone, troisième exportateur de matériel militaire vers Riyad après les Etats-Unis et le Royaume-Uni, ne semble pas vouloir changer sa politique malgré l’homicide de Jamal Khashoggi. Spain’s High Court, the Audiencia Nacional, is investigating 23 years’ worth of arms sales to Saudi Arabia during which executives at a state-owned company allegedly paid millions in bribes to secure contracts. Judge José de la Mata is examining five transactions made from 1992 to 2004 between Riyadh and a company named Defex, as well as 11 other contracts signed between 2005 and 2014, according to Spanish and Swiss legal documents that EL PAÍS has seen. Der österreichisch-slowenisch-kanadische Geschäftsmann Walter Wolf steht in Slowenien wegen Vorwürfen der Geldwäsche in Zusammenhang mit der Patria-Schmiergeldaffäre vor Gericht. Bei der Anklageverlesung vor dem Bezirksgericht in Maribor plädierte der 79-Jährige auf nicht schuldig, berichtete die Nachrichtenagentur STA. Vous revenez sur ce mot d’Emmanuel Macron… je cite : ‘c’est pure démagogie que de dire qu’il faut arrêter de vendre des armées à Riad’… Cette phrase appelle deux réflexions. La première, toute simple : est-ce vrai ? Nouveau rebondissement dans l’affaire des fonds gelés de l’ex-leader libyen Mouammar Kadhafi. Notre rédaction a mené l’enquête depuis plusieurs semaines et a récolté des informations exclusives. Une source proche du dossier indique sous couvert d’anonymat que le gouvernement belge aurait joué un rôle dans le financement de milices libyennes responsables de trafics d’êtres humains. RRS-MITCOS is the short form for a new joint venture which Rheinmetall and Rohde & Schwarz have set up to meet the German military’s requirement for integrated operational and communications systems. First and foremost, Rheinmetall and Rohde & Schwarz want to play a leading role in digitizing Germany’s ground forces. This major programme encompasses an investment volume of several billion euros. Bulgaria’s booming arms trade continued to grow in 2017 with arms and ammunitions exports topping €1.2 billion ($1.4 billion), an official report showed on Wednesday, October 31. Conflicts in the Middle East have boosted Bulgaria’s arms sales in recent years to levels not seen since the fall of communism in 1989. La Armada española ha adquirido ametralladoras Minimi y pistolas P9 17 del fabricante belga FN Herstal junto con accesorios por un importe superior al millón de euros -1.154.836,93 euros, impuestos incluidos-. El contrato se gestionará a través de la empresa española Equipamientos SDAL.